Project Gutenberg Australia gratefully acknowledges the significant contribution of Sue Asscher in preparing many of the eBooks relating to Australian History, which are available from this page. 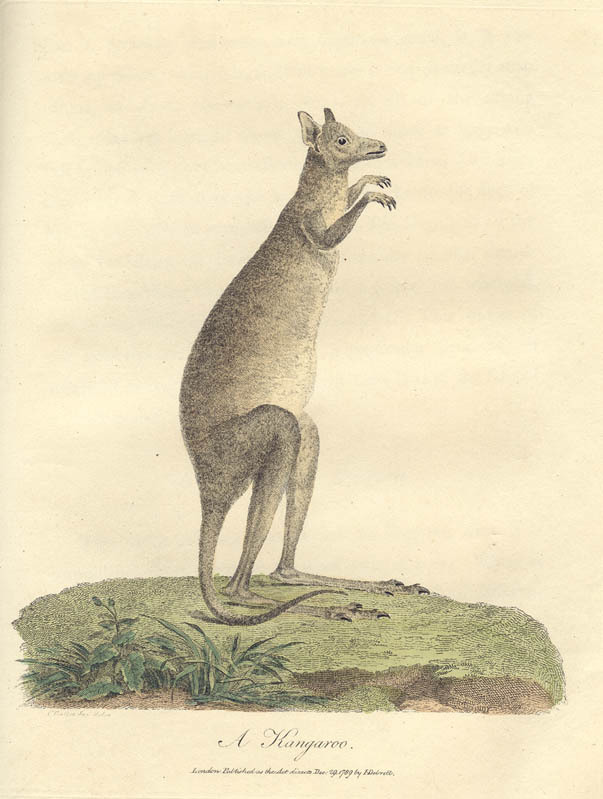 Resources relating to Australian History available from Project Gutenberg Australia and Project Gutenberg in the U.S.
Australian Explorers page. A chronology of Australian exploration with links to relevant eBooks, together with an extensive list of Australian explorers and their biographies. Also see the Australian Explorers Journals page, a virtual library of writing by the explorers themselves. Australian Discovery page. 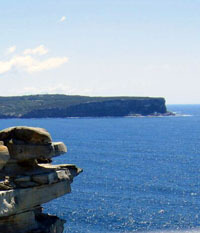 Details of early maritime contact with Australia. The First Fleet page. Details of the First Fleet which arrived in Australia in 1788. A Short History of Australia by Ernest Scott. A chronology of Australian history.This timeline appeared in A Short History of Australia by Ernest Scott. A list of Governors and Ministries of the Commonwealth and the states. See A Short History of Australia by Ernest Scott. A List of Convicts sent to New South Wales on the First Fleet, in 1787. From The Voyage of Governor Phillip to Botany Bay. Dictionary of Australian Biography. Biographies of about 1000 people prominent in the development of Australia--explorers, artists, politicians, scientists, etc. All died before 1950. A Source Book of Australian History by Gwendolen H Swinburne. Contains extracts from documents relating to Discovery and Exploration and to General Australian History. The First Discovery of Australia and New Guinea by George Collingridge. The History of Australia and New Zealand from 1606 to 1890 by Alexander and George Sutherland. The First Discovery of Australia with an account of the Voyage of the Duyfken and the Career of Captain Willem Jansz. by T D Mutch. A History of the Australasian Colonies (1912) by Edward Jenks. The Genesis of Queensland (1889) by Henry Stuart Russell. Personal Recollections of Early Melbourne & Victoria by William Westgarth. Western Australia: a History from its Discovery to the Inauguration of the Commonwealth by J S Battye. Journals of Several Expeditions made in Western Australia 1829-1832 edited by Joseph Cross. Ned OVERTON Mutiny; and the Trial of Lt. Col. Johnston: An Outline of the Rum Rebellion. Australia on the Map "Australia on the Map" (AOTM) is the history division of the Australasian Hydrographic Society. Its aim is to help Australians to know their early Maritime Contact History better. Australian History Timelines Links to timelines spanning Australia's history from before 1700 to the present time. John White, surgeon on the First Fleet to sail to Australia, in 1787-88. The first authenticated discovery of Australia was by William Jansz in 1606. Further contact was made by seafarers including Hartog, Houtman, Carstensz, Tasman, Dampier, and Cook but it was not until 1788, when the ships of the First Fleet landed at Sydney Cove with their "cargo" of convicts and began the first white settlement on the continent, that the "European" phase of Australian history really began. The convicts were put on board the ships of the First Fleet in March 1787 and arrived at Sydney Cove on 26 January, 1788--the day now commemorated as "Australia Day". There have been a number of first hand accounts of the voyage by men who were on board the ships, including the very readable "A Narrative of the Expedition to Botany Bay" and "A Complete Account of the Settlement at Port Jackson" by Watkin Tench, one of the marines (see review, below). Another account, "Journal of a Voyage to New South Wales", by John Wright, Surgeon-General to the Settlement, was first published in 1790. This publication included 65 magnificent colour plates of "non descript animals, birds, serpents, curious cones of trees and other natural productions". "It becomes the duty of the Editor, as much as it is his inclination, to return his public and grateful acknowledgments to the Gentlemen through whose abilities and liberal communications, in the province of Natural History, he has been enabled to surmount those difficulties that necessarily attended the description of so great a variety of animals, presented for the first time to the observation of the Naturalist, and consequently in the class of Non-descripts. "Among those Gentlemen he has the honour, particularly, to reckon the names of Dr. Shaw; Dr. Smith, the possessor of the celebrated Linnaean Collection; and John Hunter, Esq., who, to a sublime and inventive genius, happily unites a disinterested and generous zeal for the promotion of natural science. The Public may rely, with the most perfect confidence, on the care and accuracy with which the drawings have been copied from nature, by Miss Stone, Mr. Catton, Mr. Nodder, and other artists; and the Editor flatters himself the Engravings are all executed with equal correctness, by, or under the immediate inspection of Mr. Milton. The Birds, etc. from which the drawings were taken are deposited in the Leverian Museum." "We again descried the French ships standing in for the bay, with a leading wind; upon which Captain Hunter sent his first lieutenant on board the commanding officer's ship, which was distinguished by a broad pendant, to assist them in coming in. Soon after the lieutenants were returned to the Sirius, Captain Clonnard, the French Commodore's captain (who during the late war commanded the Artois, taken by the Bienfaisant, Captain Macbride), waited on Captain Hunter, and informed him that the ships were the Astrolabe and the Boussale, which sailed from France in the year 1786, under the command of Messieurs de la Perouse and De Langle. He further acquainted him that, having touched at Navigator's Isles, they had had the misfortune to lose Captain De Langle, the second in command, with ten other officers and two boats crews, all of whom were cut off by the natives of those islands, who appeared to be numerous and warlike. This accident induced them to put into this port in order to build some boats, which they had in frames. It also had afforded room for the promotion of Monsieur Clonnard, who, on their leaving France, was only the commodore's first lieutenant. "At ten o'clock the Sirius, with all the ships, weighed, and in the evening anchored in Port Jackson, with a few trifling damages done to some of them, who had run foul of each other in working out of Botany Bay. Port Jackson I believe to be, without exception, the finest and most extensive harbour in the universe, and at the same time the most secure, being safe from all the winds that blow. It is divided into a great number of coves, to which his excellency has given different names. That on which the town is to be built, is called Sydney Cove. It is one of the smallest in the harbour, but the most convenient, as ships of the greatest burden can with ease go into it, and heave out close to the shore. Trincomalé, acknowledged to be one of the best harbours in the world, is by no means to be compared to it. In a word, Port Jackson would afford sufficient and safe anchorage for all the navies of Europe. The Supply had arrived the day before, and the governor, with every person that could be spared from the ship, were on shore, clearing the ground for the encampment. In the evening, when all the ships had anchored, the English colours were displayed; and at the foot of the flag-staff his Majesty's health, and success to the settlement, was drank by the governor, many of the principal officers, and private men who were present upon the occasion." The publication of his journal with so many colur plates indicates that White took more than a passing interest in the flora and fauna of the new colony. However, it seems that, after the publication of his journal, he became pessimistic about the future of the settlement and, having obtained leave of absence, sailed for England on 17 December, 1794. William Balmain, his assistant, took over White's duties, and was later appointed principal surgeon. History has shown, of course, that White's judgment regarding the future of the colony was incorrect; but his observation about Sydney Harbour, that it was the "finest and most extensive harbour in the universe", has stood the test of time. The etext of White's journal is now available at the Australiana page. The HTML version of the eBook includes all 66 colour plates, including the original title page. Watkin Tench--"A Narrative of the Expedition to Botany Bay" and "A Complete Account of the Settlement at Port Jackson". The first fleet of ships which arrived in Botany Bay (Sydney) from England, in January 1788, heralded the beginning of white settlement in Australia. Watkin Tench (1759-1833), Captain of the Marines, was one of the four captains who made the voyage. In his autobiographical "A Narrative of the Expedition to Botany Bay" Tench states that "our number was . . . twelve sail: His Majesty's ships Sirius, Hyena, and Supply, three Victuallers with two years stores and provisions on board for the Settlement, and six Transports, with troops and convicts. In the transports were embarked four captains, twelve subalterns, twenty-four serjeants and corporals, eight drummers, and one hundred and sixty private marines, making the whole of the military force, including the Major Commandant and Staff on board the Sirius, to consist of two hundred and twelve persons, of whom two hundred and ten were volunteers. The number of convicts was five hundred and sixty-five men, one hundred and ninety-two women, and eighteen children; the major part of the prisoners were mechanics and husbandmen, selected on purpose by order of Government." In "A Narrative of the Expedition to Botany Bay" and "A Complete Account of the Settlement at Port Jackson", Tench provides a first hand account of the voyage and then goes on to describe the subsequent settlement in Sydney, New South Wales. He details the natural environment of Port Jackson and its environs; the efforts to establish food production; the exploratory trips into the hinterland; and, most interestingly, the first interaction between Europeans and the Australian Aborigines. This is a remarkable eye-witness account by a thoughtful, humane man who was also a talented writer. Tench was interested in everyone and everything around him. These two works may be considered the first works of Australian literature. James Tucker (1803-1866) and the story behing the publication of "Ralph Rashleigh". Geoffrey Dutton, in The Australian Collection--Australia's Greatest Books, remarks that "The definition of "classic" should be relevant to both time and place. There are many books in each country's literature that are cherished as classics in their homeland but little known elsewhere." Hence the inclusion of Ralph Rashleighin Dutton's list of Australia's Greatest Books. The book is a "classic" for a number of reasons: its literary merit; its depiction of the life of a convict; the circumstances of its composition; and the occasion of the discovery of the manuscript and subsequent publication. During his life in the colony he is flogged, placed in solitary confinement and forced to endure both heat and cold without the benefit of shoes. Still, this is not a story of hopelessness and the convicts manage to get up a theatre and Rashleigh is later assigned as a labourer to a settler. The adventures continue unabated, to such an extent that Dutton remarks, "Interest in the breathless series of adventures that make up Ralph Rashleigh might flag if most of them were not so clearly authentic." As it was, the author of this work was himself a convict. Colin Roderick, academic and writer on Australian literature, noted in a foreword to the 1952 edition of the book, that "Ralph Rashleigh is the "only novel of abiding stature to have been written by a man who during all his Australian life was never anything but a convict." Like Rashleigh, Tucker himself was sentenced to be transported to New South Wales for the term of his natural life, for the crime of sending a letter threatening to (falsely) accuse his cousin, James Stanyford Tucker, with indecently assaulting him, James Rosenberg Tucker (our author). Tucker spent much of his time in the colony as a messenger and clerk. On several occasions he was granted a ticket of leave only to have it revoked each time, save the last. He died in Liverpool (N.S.W.) asylum in 1866. In fact, we are not absolutely certain that James Tucker is the author of Ralph Rashleigh, as the following story will admit. In 1920, at an exhibition of rare books and manuscripts held by the Royal Australian Historical Society, an elderly man "turned up" with a manuscript titled Ralph Rashleigh or The Life of an Exile, by Giacomo di Rosenberg and handed it to the president of the Society, Mr C. H. Bertie. The elderly man, Robert Baxter, could only say that some 50 years earlier it had been left to his wife by her father, who had it of the author 30 years before that. Three other manuscripts were also presented at the same time. The date written by the author, on the verso of the first page of Ralph Rashleigh, was 31st December, 1845. The paper on which the manuscript was written was watermarked 1840. Other paper in the bundle was ascertained to have come from the register of assignment of convicts at Port Macquarie (N.S.W. ), the latest dates on those sheets being 1838. These facts, together with other evidence, suggested that the manuscripts were genuine work from the 1840s. On the assumption that Ralph Rashleigh was a disguised book of memoirs, in 1929 a re-written version of the manuscript was published in London. The reasons for the re-writing were outlined in the publishers' note at the beginning of the publication: "We recognized its value and interest, but the archaic literary style of the writer made us doubt whether the book would be acceptable to modern readers. So the manuscript was rewritten, but with absolute fidelity to the original story." The identity of the author of Ralph Rashleigh remained a mystery. Then, in 1949, Mr Bertie "put me in possession", as Colin Roderick put it in the foreword to the 1952 edition of Ralph Rashleigh, "of all he knew about the manuscript. Intrigued by its obvious authenticity and moved by the obscure fate of its author, I was persuaded not to let the pursuit of that worthy (sic) stop until I had established his identity." Unfortunately, for copyright reasons, we cannot include in the ebook of Ralph Rashleigh the complete foreword, by Colin Roderick, to the 1952 edition. However, Roderick goes on to detail how he was able to ascertain that James Tucker was almost certainly the author. After two years, building upon the knowledge that the paper upon which the manuscript was written came from the penal settlement at Port Macquarie, Roderick recounts: "On the evening of 26 July 1951 I was looking through the 1846 inward correspondence of William Nairn Gray to the Colonial Secretary. A file of letters dealt with several complaints against Gray, one of which was that he had misappropriated convict labour to build a race-course and to enlarge his own garden for profit. To refute the charges he enclosed a plan of the trifling alterations to his garden, and another of the mighty public works he had performed. "These plans really gave the solution to the problem. Not only were they in the same calligraphy as the title pages of the Rashleigh manuscripts, but they were signed with the amateur architect's name, James Tucker. Several pages attached to them were in the same handwriting as the manuscript of Ralph Rashleigh." Roderick provides other evidence to corroborate his contention that Tucker was the author of Ralph Rashleigh. For example Tucker, in a postscript to his threatening letter to his cousin, mentioned earlier, directed the cousin to "address to me Mr Rosenberg, the Bell, Exeter Street, Strand." Further, Tucker's criminal charge was directed to "James Rosenberg Tucker", and at Port Jackson, Tucker's name was entered as "James Tucker, or Rosenberg." Rosenberg was, as mentioned earlier, the name entered on the Ralph Rashleigh manuscript.Some commentators, however, have argued that Tucker merely copied the manuscript. In an exchange in the Bulletin December 1952 to February 1953, M. H. Ellis argued that Tucker was a copyist whose known writing, for example a letter written in 1826, does not reveal the qualities required of the author of Ralph Rashleigh. Roderick, though, seems to have the weight of evidence. In the foreword to the 1952 edition of Ralph Rashleigh, Colin Roderick goes on further to note the "unfortunate introduction [to the 1929 edition] by the late Earl of Birkenhead. Like the editor of that text, Birkenhead was misled into believing the book was a memoir entirely and the text was mangled and falsified to fit this preconceived theory." Birkenhead set forth a diatribe in favour of maintaining the death penalty, using as evidence to support his claim, the "memoir" of Rashleigh, a person who "had the advantage of a decent upbringing, but, out of weakness of character, adopted what seemed the easier life of crime at an early age." It was fortunate for Birkenhead that, by 1952 when the verbatim edition of what turned out to be a novel was published, he was "late" as it may have saved him from acute embarrassment. At Project Gutenberg Australia will be found both the "first authentic popular edition" created from the original manuscript, first published in 1952, together with the heavily edited 1929 edition (including the publishers' note and introduction by Birkenhead). The 1929 edition is now, of course, just a curiosity. I trust that you will agree that this is a "classic" story about a classic work of Australian literature--"Ralph Rashleigh", The Life of an Exile by James Tucker.